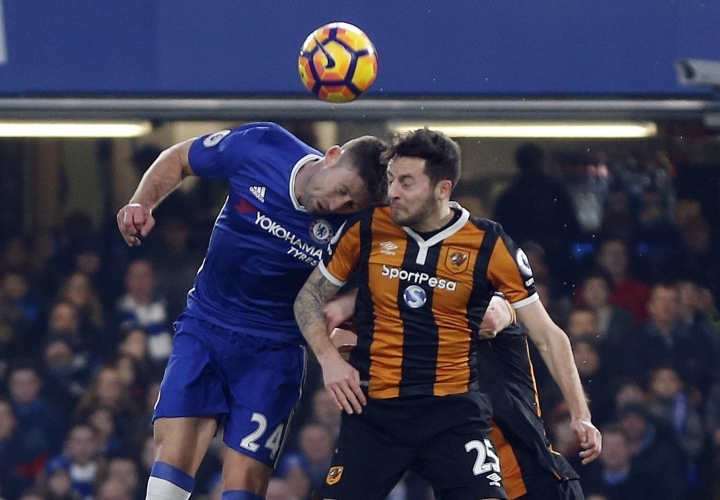 LONDON — Hull midfielder Ryan Mason has been able to talk about the clash of heads that left him with a fractured skull during a Premier League match at Chelsea. The 25-year-old Englishman underwent surgery after the incident, but Hull said Monday that Mason was in stable condition. 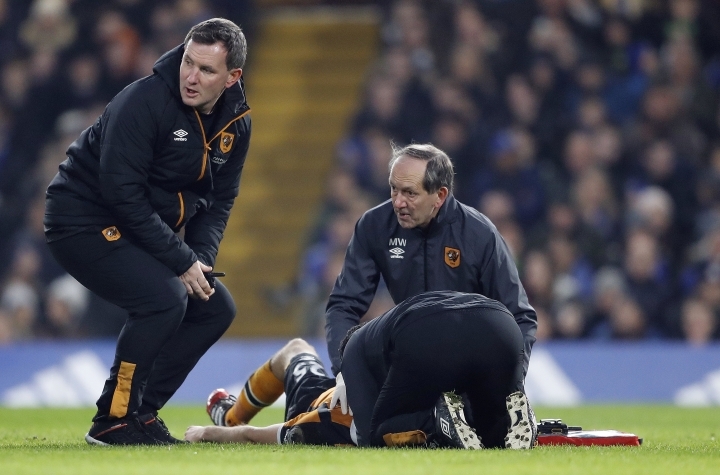 "Ryan has been speaking of the incident yesterday and will continue to be monitored at the hospital over the coming days where the club will remain in close contact with Ryan, his family and the staff at St. Mary's," Hull said. "Ryan and his family have also been extremely touched by the overwhelming support they have received and would very much like to thank all of those who have posted such positive comments both on social media and in the press over the last 24 hours." Mason was taken to the neurosurgery unit at a hospital close to Stamford Bridge on Sunday after the collision with Chelsea defender Gary Cahill as they went to head the ball. Mason received treatment for almost 10 minutes on the field before departing on a stretcher while receiving oxygen. Cahill, along with Chelsea captain John Terry, reportedly visited Mason in the hospital on Sunday evening.